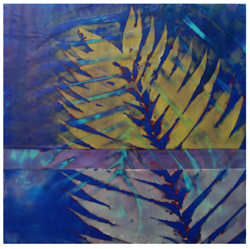 Sinopia is pleased to announce the May artist of the month: Chris Rankin. 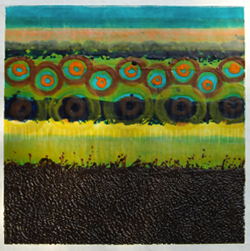 Chris is an encaustic artist who lives and works in Columbus Ohio. Chris received his degree in art from the Columbus College of Art and Design and has been featured in numerous exhibits in the central Ohio region. Furthermore Chris is a Board Member of the Ohio Art League. Chris had the fortune of growing up in a family of artists, who nurtured his artistic talent from an early age. 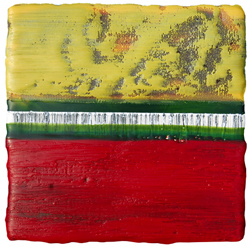 As a child, Chris found himself combining such materials as wood, crayons and oil pastels in his creative explorations. These early forays into mixed media were later refined into a medium that lends itself to his tactile working method: encaustic. 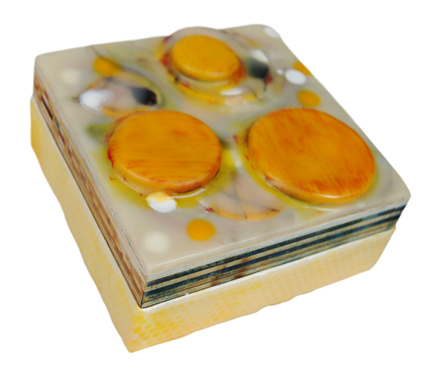 Encaustic is simply the combining of pigment with wax and then molding the heated mass on a rigid support. 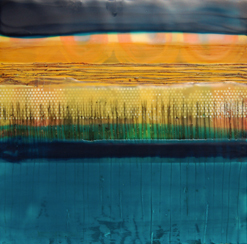 Additionally Chris is drawn to this medium, because encaustic is based on two natural fundamentals: wax and fire. The versatility of the medium gives him the freedom to do a variety of different styles and effects. Chris' work tends to be nonrepresentational to abstract. With a graphic styling which comes from his formal training as an art director for the Creative Spot, an advertising agency Chris co-founded fifteen years ago. Chris makes most of his own paints in his Columbus, Ohio studio. Of course the bees supply the wax and Chris then mixes damar resin and various Sinopia pigments into the wax to create his colors. The powdered pigments offer a consistency that is easy to control and very cost effective compared to commercially produced encaustic paints.